Apprentices worldwide are preparing to join the skilled workforce, meeting the growing demands from diverse employers across many industries. To recognize their remarkable productivity, industriousness and innovative thinking, Nov. 13-19, 2017 is being celebrated as National Apprenticeship Week. For the third year in a row, the United States Department of Labor is using this week as a means for leaders in business, labor, education and other critical areas to showcase their communities, including special programs, facilities, accomplished apprentices and more. The Commemorative Air Force (CAF) Dixie Wing, made up of over 200 volunteers, works tirelessly year-round to revive and preserve military aviation history by devoting countless hours to restoring historical aircraft to flying condition. Tradespeople with a variety of skills and a common passion share their pride in the heritage of the aircraft with community members and history buffs nationwide, in recognition of the many sacrifices America’s servicemen and women have made for their country. The Klein Tools team had the opportunity to visit with the volunteers at the CAF Dixie Wing in early 2017, to learn more about their work and what makes the skills and machines in Peachtree City, Georgia, a unique asset to the CAF orgnization. What’s the deal with #kleincrusaders? Questions like these come up regularly from our followers, especially when we share posts from our new Klein Crusaders program. For those in the United States, we have several ways for you to stay connected with us, get chances to win free tools, earn points toward sweet gear and provide honest feedback on our products. The absolute best way to make sure you have access to top product content, loyalty rewards, monthly giveaways and a chance to be selected for Klein Crusaders is to sign up for the Klein Tradesman Club. Please note: at this time, Klein’s Loyalty Rewards and Klein Crusaders programs are only available to U.S. residents. International followers can, however, register for the Klein Tradesman Club to stay up to date on new product information and participate in relevant surveys. Behind the shadows, draped with cobwebs, the ghouls, goblins and ghosts haunt the eerie nights of October. Still, what lurks in the darkness remains a mystery. 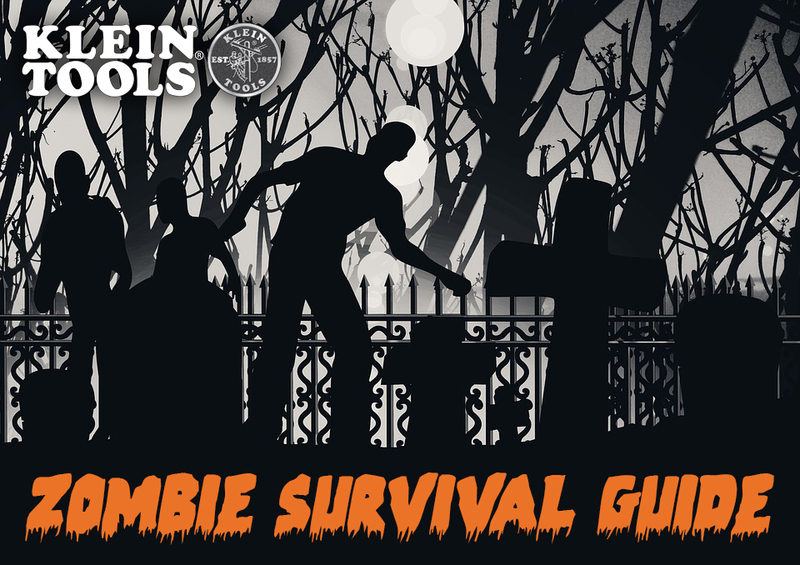 If zombies crawl forward, Klein Tools has you covered. From long-nose pliers and wire cutters to various knife blades and screwdriver bits, this multi-tool is perfect for the survivor on the go. Carrying this in your pocket is a surefire way to keep safe and efficient this apocalypse – no matter who, or what, you come across during your escape! 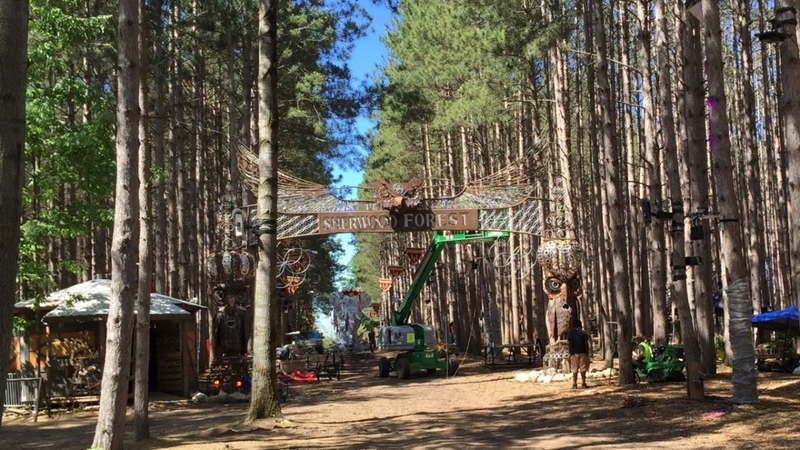 While welcoming over 50,000 unique people, Electric Forest provides an intimate community for visitors to embrace the surrounding natural environment, rock out to their favorite musicians and build lasting friendships. The forest, which is intensified by imaginative lighting and various entertainers, radiates with passion from both attendees and tradespeople alike. With trees now standing up to 70 feet tall, it’s hard to imagine that the home of Electric Forest once stood as an area devastated by harvesting. In 1955, a small group of people planted the seeds of Sherwood Forest at the Double JJ Resort in Rothbury, Michigan. From falls over 100 feet to extremely adverse weather – including hurricanes – we’ve noticed that professionals tend to inadvertently test the durability of their tools and devices. Recently, a few of our customers have admitted to conducting these unofficial durability tests with the Wireless Jobsite Speaker. Do you think kicks, drops, 100-foot falls and a hurricane were enough to do it in? When Bill Parrish was working on building a communication tower, he accidentally kicked his Klein speaker, and down it went – 150 feet to the ground. After watching it repeatedly bounce off steel on its way down, he was unable to find the speaker for three, rainy days. Bill was about to give up hope on ever finding it, but he decided to take one last look. Luckily, that last check allowed him to locate the speaker, but it was 4 inches-deep in the dirt, busted open and full of water. Not one to give up after finally finding it, he cleaned it up, dried it off and turned it on. Much to his amazement, the speaker still worked! Recognized worldwide as one of the largest – and most epic – meeting places for motorcyclists, the annual Sturgis Motorcycle Rally entertains tourists from all 50 states and dozens of international locations. 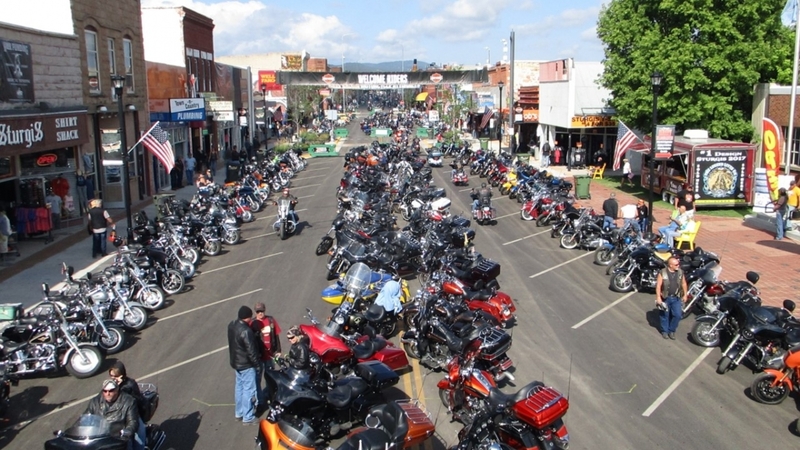 With a population just under 7,000, everyone in Sturgis, South Dakota is committed to working together to transform their small town into a memorable and authentic experience for more than 500,000 motorcycle enthusiasts every year. The first step is to submit an outstanding nomination. We know our customers are skilled professionals who are dedicated to powering America's passions through hardwork and commitment to quality, so now is the time to tell us why you or someone else you know is the best of the best. Charlotte Motor Speedway, known to motorsports fans as “The Greatest Place to See the Race,” was the first major track designed and built by current chairman and NASCAR Hall of Fame inductee O. Bruton Smith. Since opening in 1959, the track has undergone significant expansions and renovations to accommodate a more diverse lineup of activities and experiences for its fans. With there being a “DIY” tutorial online for everything these days, it’s easy to catch the project bug – especially with that “low-cost,” do-it-yourself promise. But when it comes to electrical projects, is it really worth it to skip the pro? Short answer: No.